Comments: The name 'Triostar' is derive from the three color combination on the leaves. 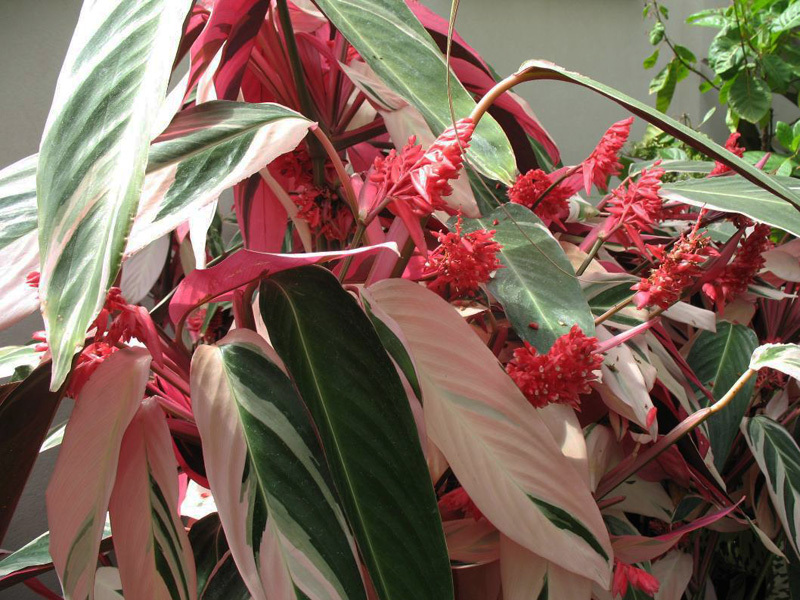 The tops of the leaves are variegated white and green, while the undersides are a brilliant reddish-pink. Flowers are pink and surrounded by tubular red-orange bracts. Is grown as an annual or cintainers plant where not hardy.